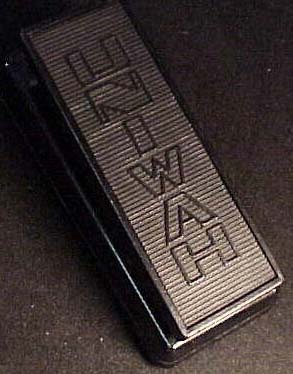 Uni-Wah - (1, 2) Standard Wah pedal, word "Uni Wah" in all caps vertically down pedal. Made in Italy by JEN ELETTRONICA. 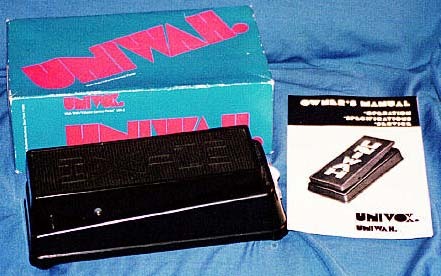 This was a repackaged Crybaby, with the Univox logo placed where the Crybaby logo would have been.